Quick stop in Fulton Market and it had me first stop at Jupiter Outpost coffeehouse for a tasty cappuccino. A super sweet, funky fresh joint I definitely recommend popping into, if ever in the area! Shooting with the ever-talented Ali Stone and this time crazy about my trendy wayfarers from ILYMIX! 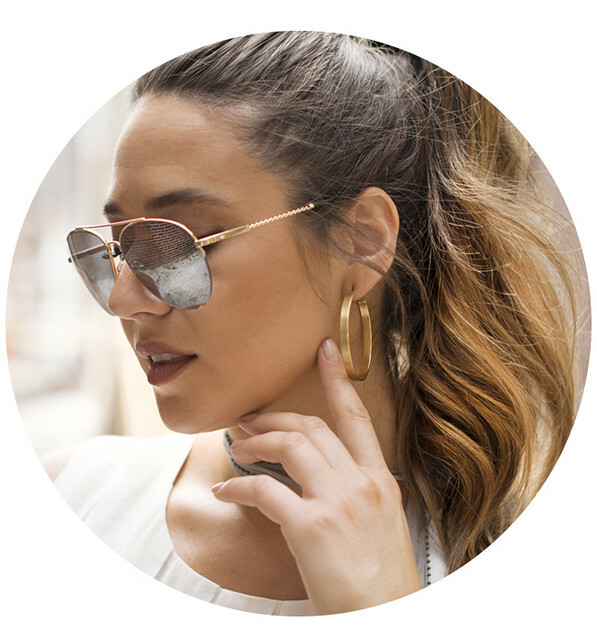 Loving these mirrored sunnies that totally jazz up any outfit, and the best part- you can shop them HERE using code Ela20 to get 20% off your purchase! <3 YESSSS! Scooped up this silk bomber recently at Zara (now on SALE!) The color is oh so perfect and just the right ‘light’ for summer. Paired it here with my favorite silk slip I purchased YEARS ago. A timeless piece that’s ideal for layering in cooler months and awesome as a dainty dress in warmer months. One of those investments you’re sure to wear over and over and over again. Also wearing my go to sandals this summer-charming with poms of playful color. Shop them HERE! Topped off my look with my mini faye by Chloe. It’s the perfect run around cross body- but literally only fit for some cash, a card, phone and maybe a lipstick. All in all though, I’d say it’s pretty perfection. *Wearing “Mondrian” by LVX nail polish, available at Generation Bliss! Leaving tomorrow for an insane trip across the world with my family! Travel with me to Dubai and the Maldives by following along on my insta and snapchat @elamariie ! Can’t wait to share with you another world of adventure. You guys are the absolute best. Sending much love your way!